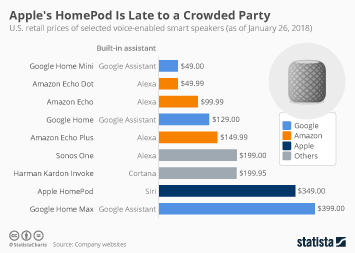 On Friday, January 26, Apple's HomePod is finally available for pre-order in the United States. 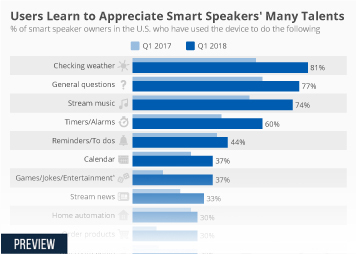 Apple's first home speaker is the latest entrant in the already rather crowded smart speaker market. 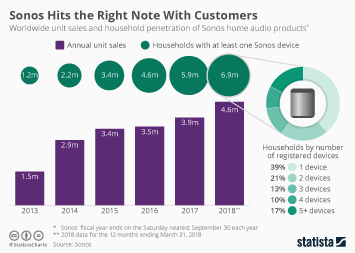 Tech heavyweights such as Google, Amazon and Apple are all looking to secure their place in the living room of the future, while smaller players such as Sonos aren’t willing to give up their fair share of the home audio market. 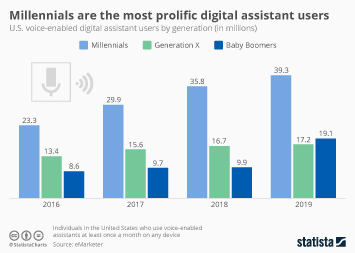 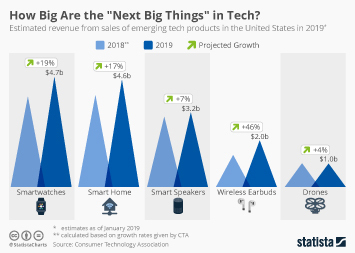 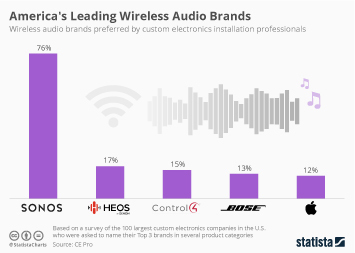 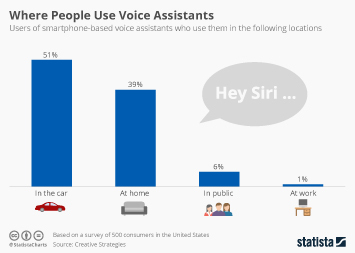 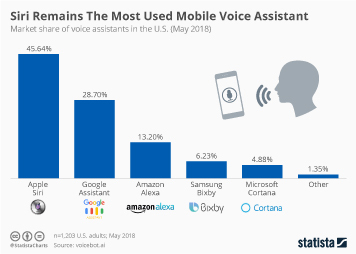 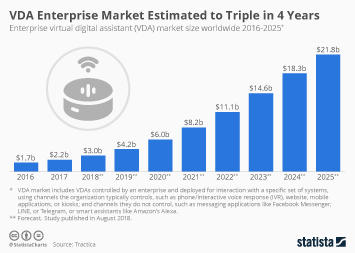 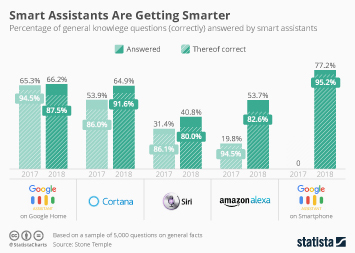 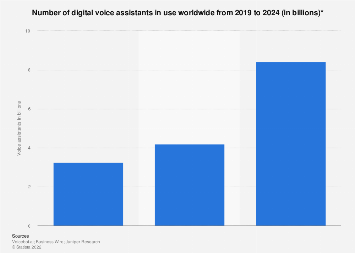 As our chart illustrates, consumers have a plethora of options to choose from, as smart speakers come in all kinds of different forms, sizes and most importantly prices. 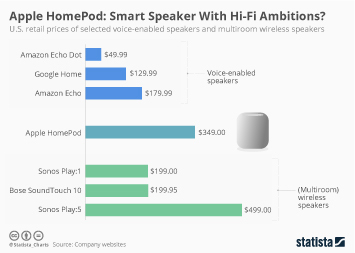 While the Google Home Mini and the regular Google Home compete with Amazon’s Echo Dot and Echo for the entry- and mid-level segment, Apple's HomePod will go head to head with the Google Home Max in its ambition to combine smart functionality with HiFi sound. 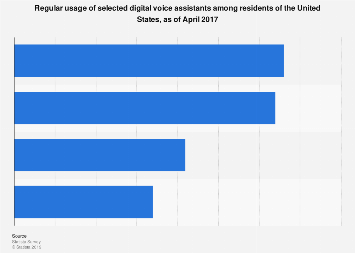 This chart shows U.S. retail prices of selected voice-enabled smart speakers. 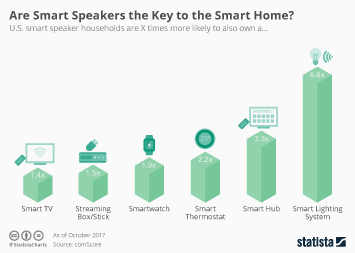 Are Smart Speakers the Key to the Smart Home?